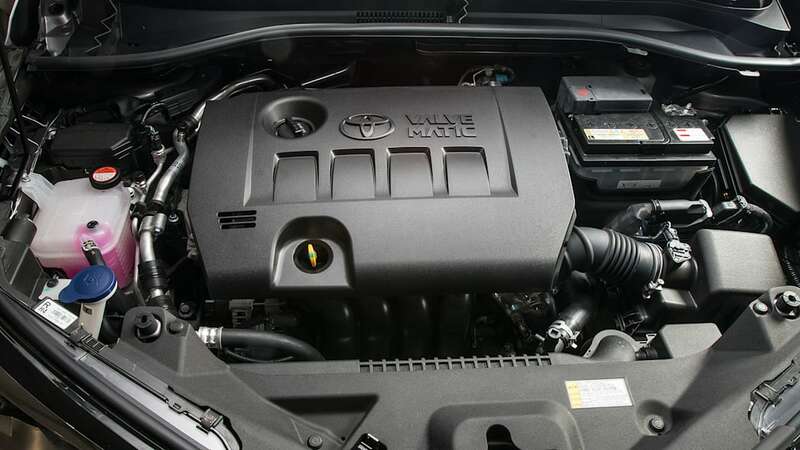 A chart of specifications and key standard features is shown below, followed by more in-depth analysis. 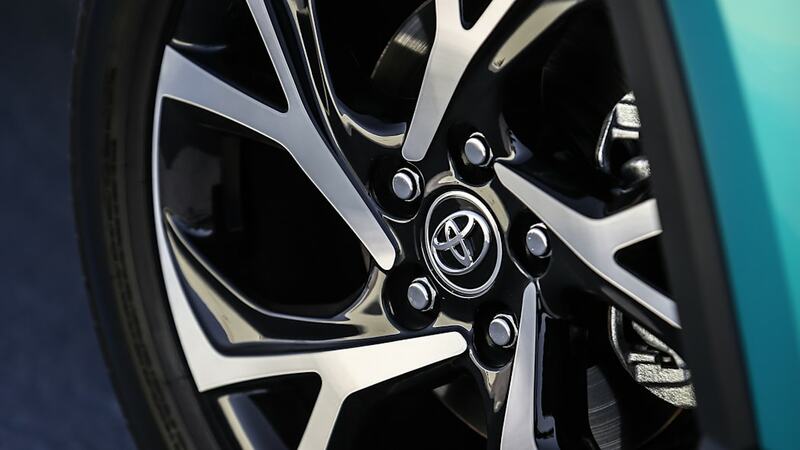 And if you wish to compare these crossovers with others not listed, be sure to check out our comparison tools. 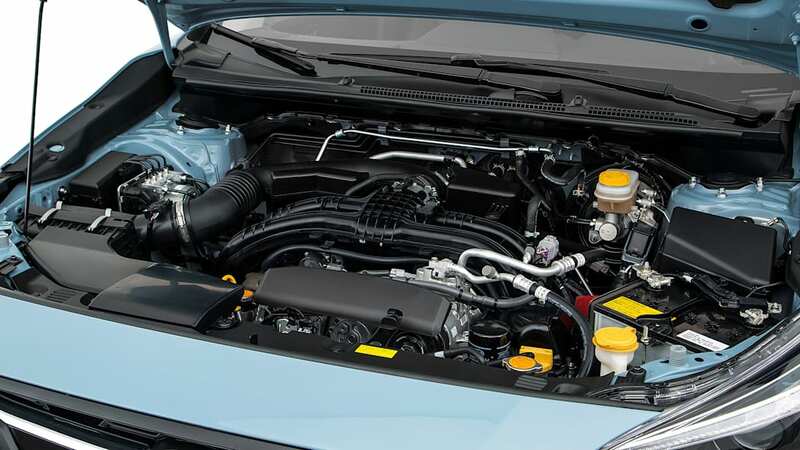 One of the Eclipse Cross' biggest advantages in this segment will be its engine. 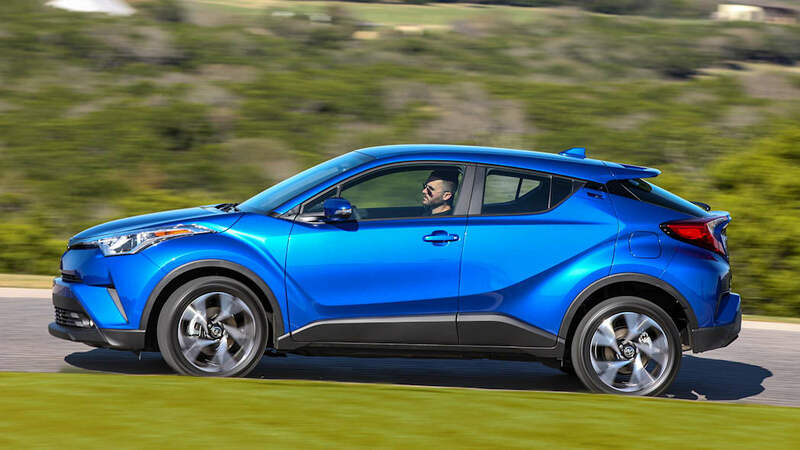 Subcompact crossovers, including the other three we've chosen, are sluggish to say the least. 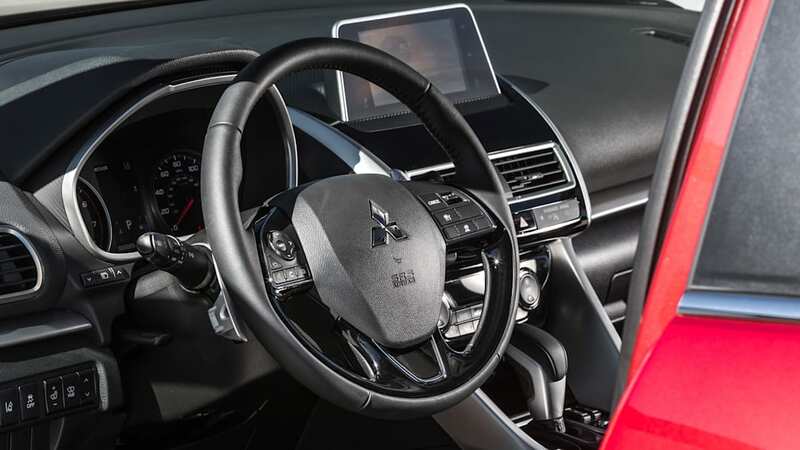 This new Mitsubishi should be different as it packs a turbocharged 1.5-liter four-cylinder that belts out a whopping 184 pound-feet of torque. 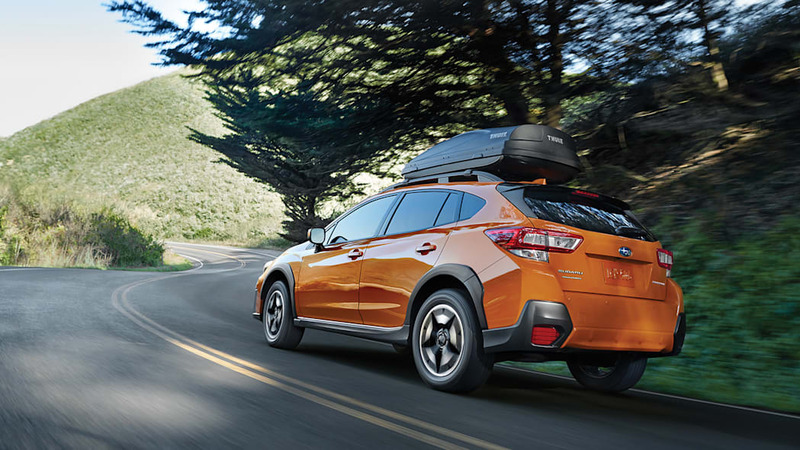 We say whopping, because the C-HR, Crosstrek and Rogue Sport all have between 139 and 147 pound-feet. 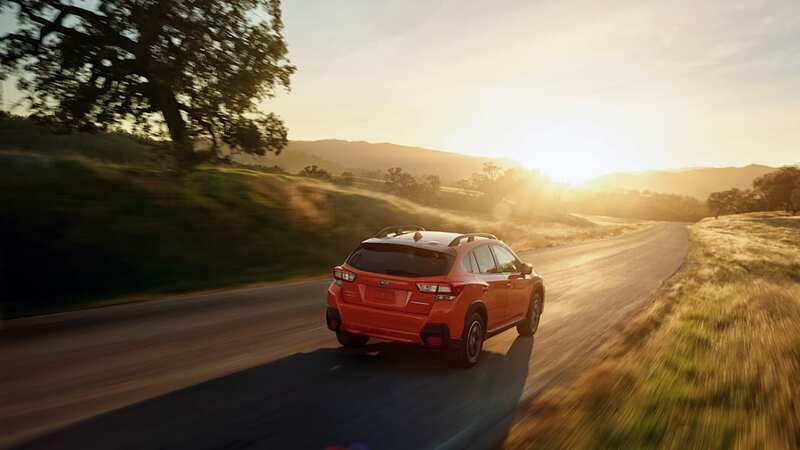 Horsepower is similarly unimpressive at just 152 horsepower - the same as the Crosstrek - but that torque should make passing and on-ramp runs much more satisfying. 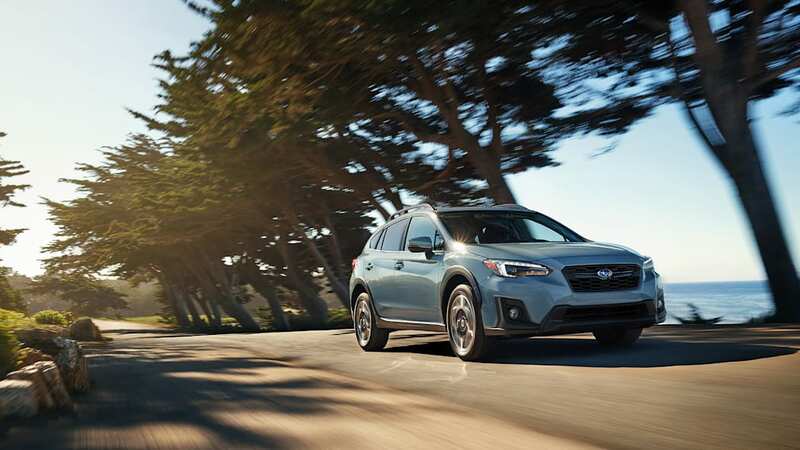 The appeal of crossovers for many people is the availability of all-wheel-drive, and this is where the Subaru gets an advantage. 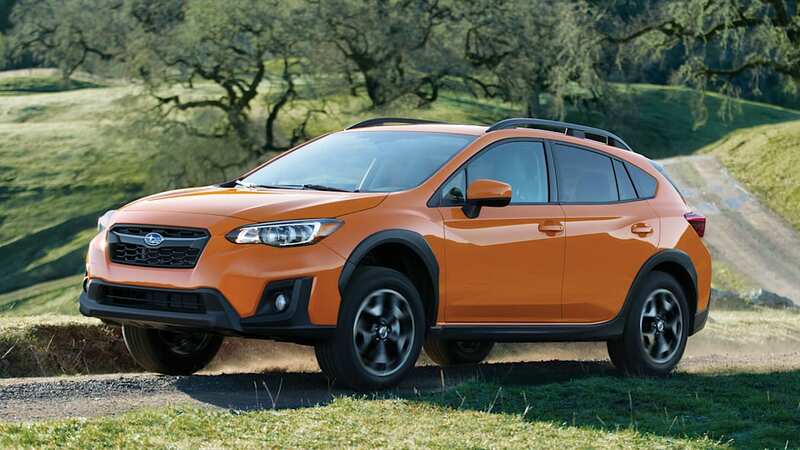 Like with all Subarus that aren't a BRZ, the Crosstrek has standard all-wheel drive. 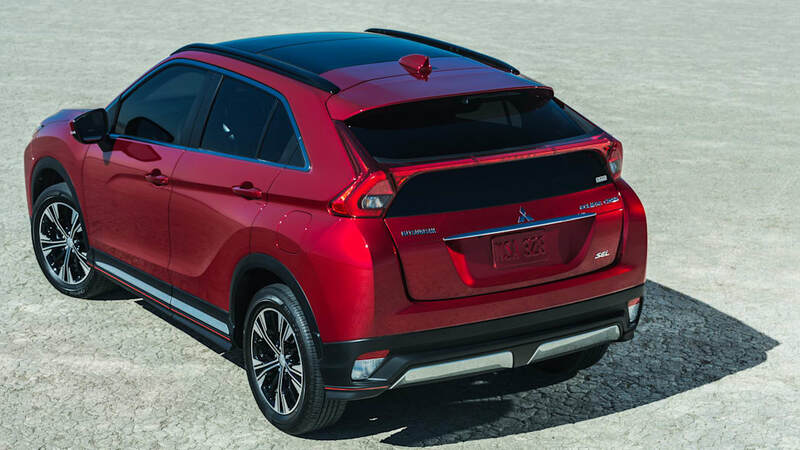 The Mitsubishi comes close, making all-wheel drive standard on every trim level except the very base ES trim level. 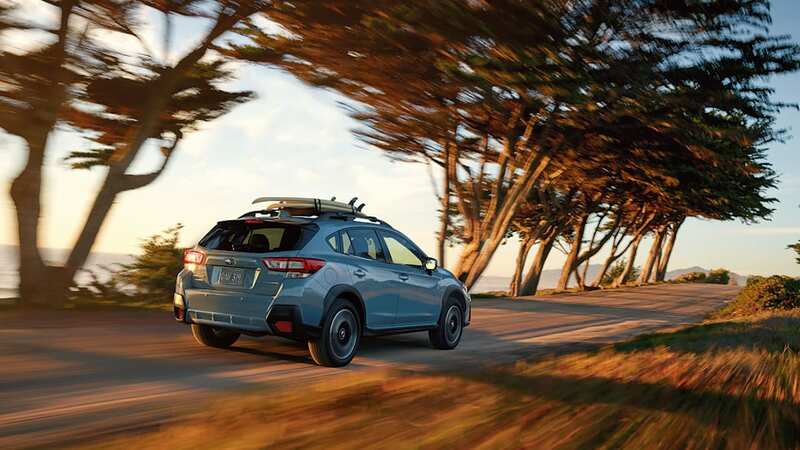 On the Rogue Sport, all-wheel drive is an option on all trim levels. 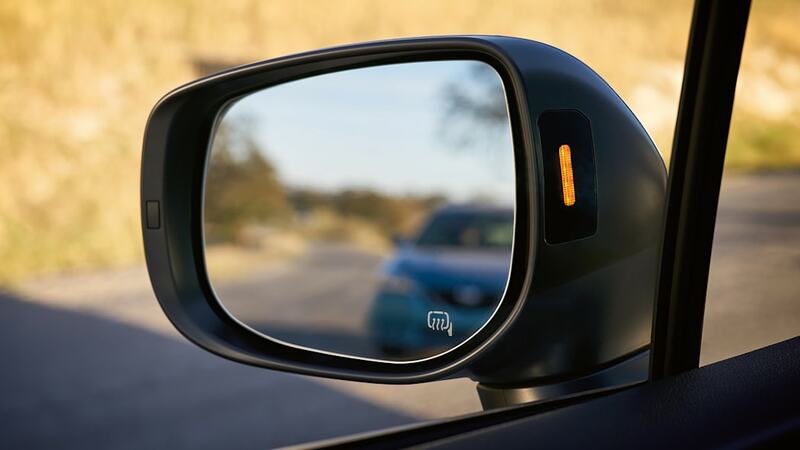 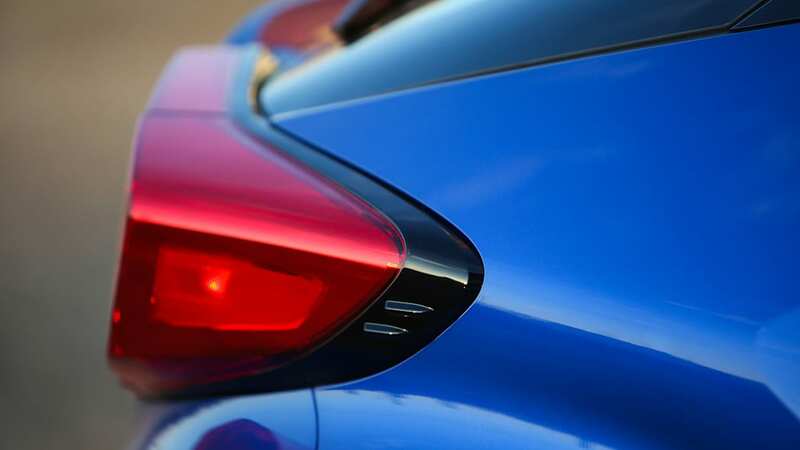 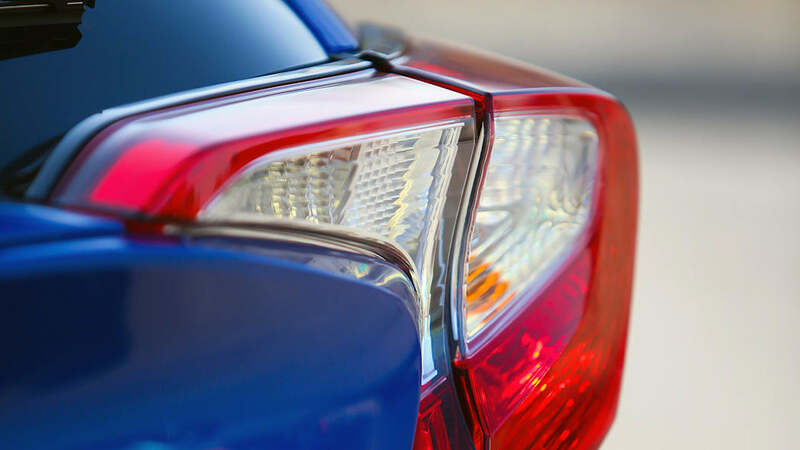 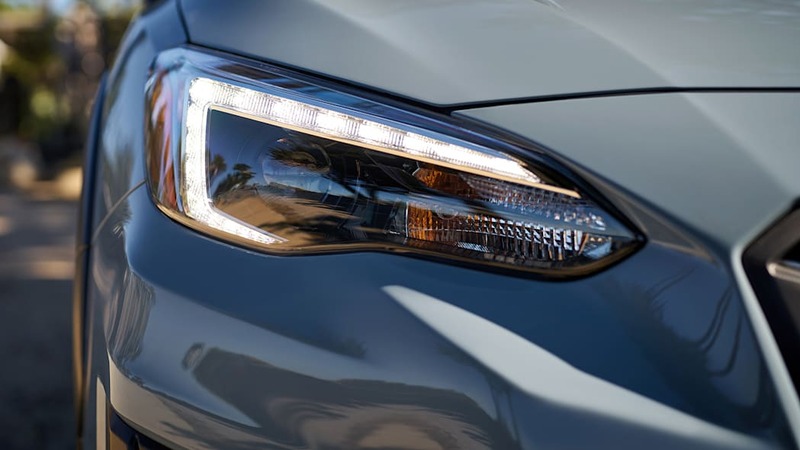 Depending on where you live, though, being able to have front drive on a high-trim crossover could be a plus because it will save some money and improve fuel economy. 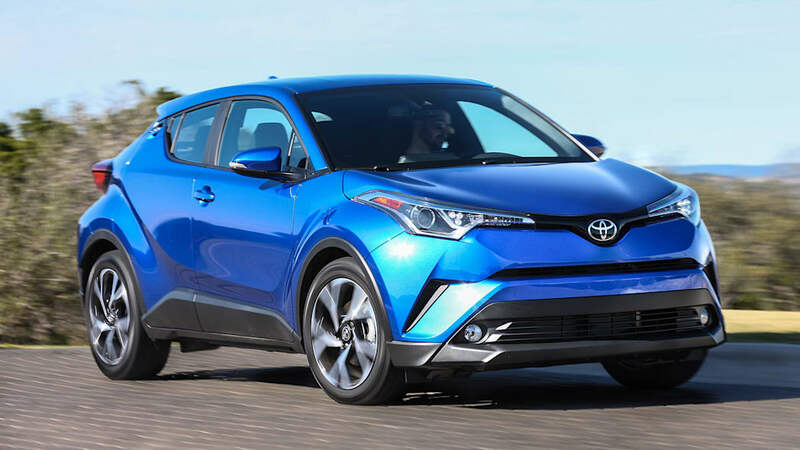 The C-HR loses this battle as it's only available with front-wheel drive. 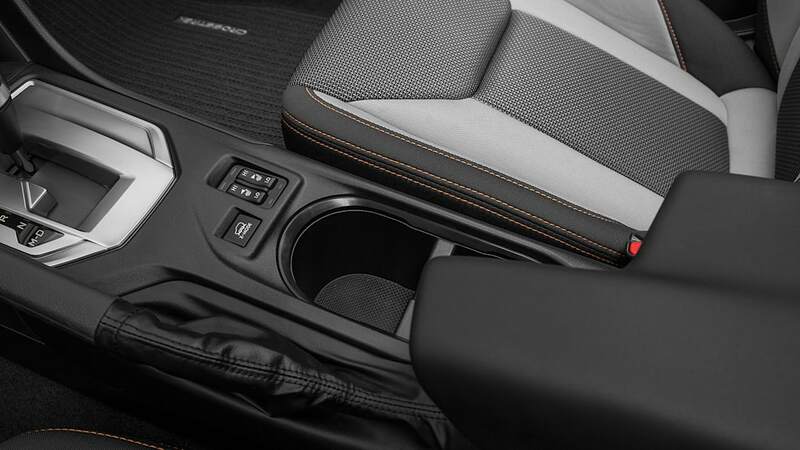 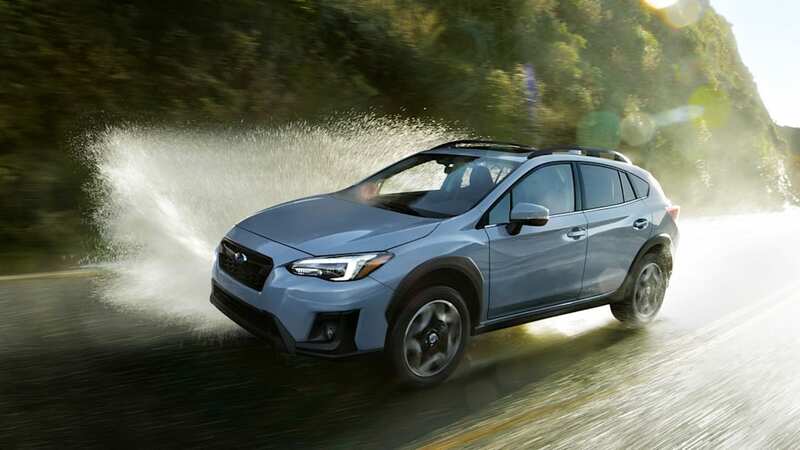 Another area in which the Crosstrek has an advantage is its standard manual transmission, which makes it a bit more appealing for those who like to row their own. 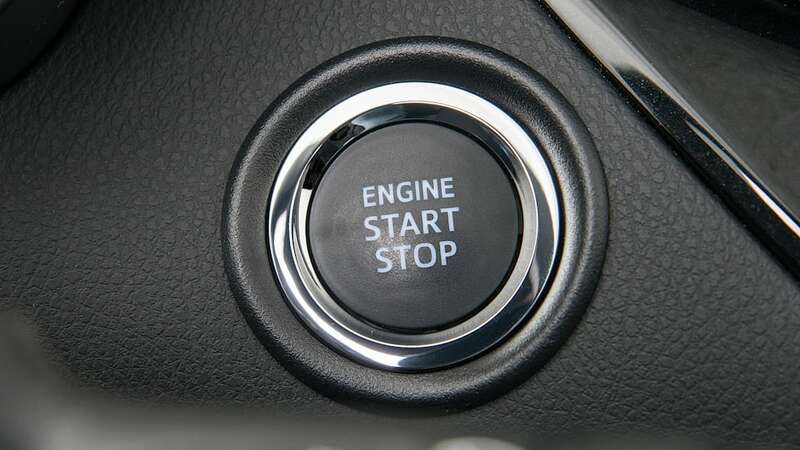 Every other vehicle here comes with a CVT only. 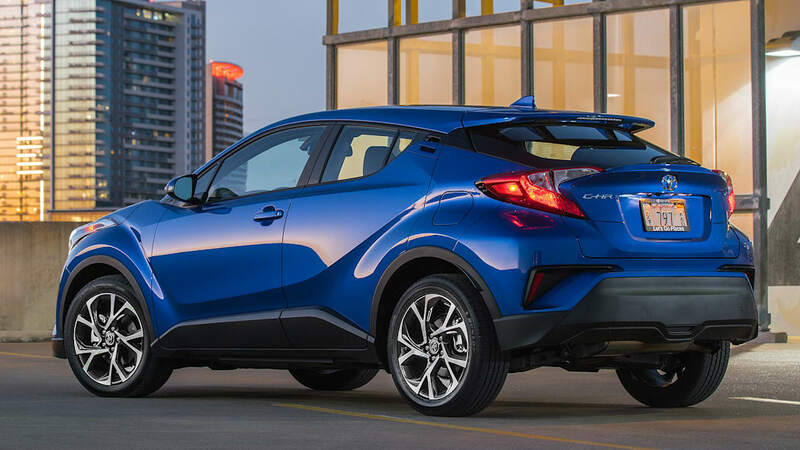 On the outside, the C-HR is easily the smallest and has the least amount of ground clearance at 5.9 inches (that's only 0.2 more than a Camry). 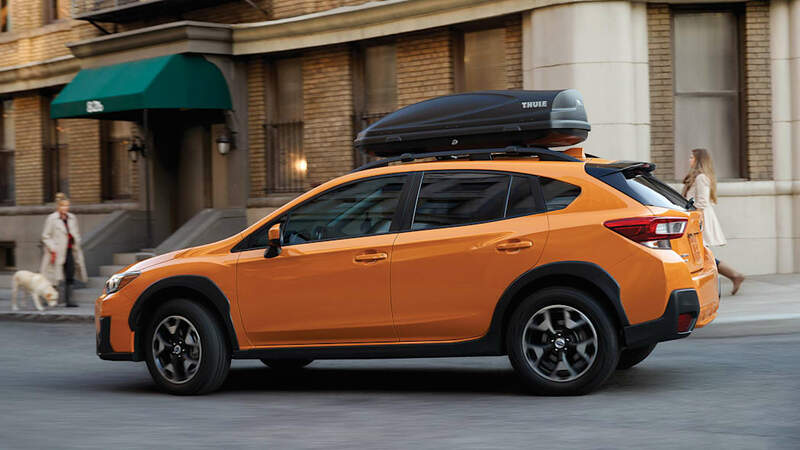 The Rogue Sport is about an inch or two larger than the Toyota in most exterior dimensions, while the Eclipse Cross and Crosstrek are the largest. 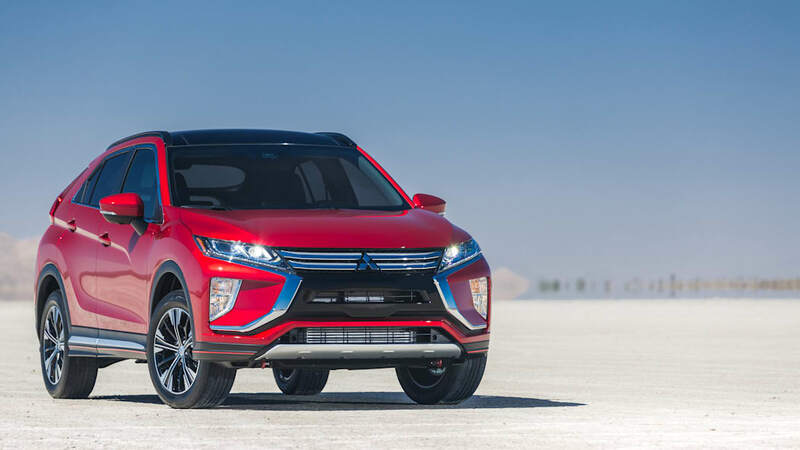 They differ in height, though, with the Eclipse Cross towering over the rest at 67.1 inches with front-drive and 67.3 inches with all-wheel-drive. 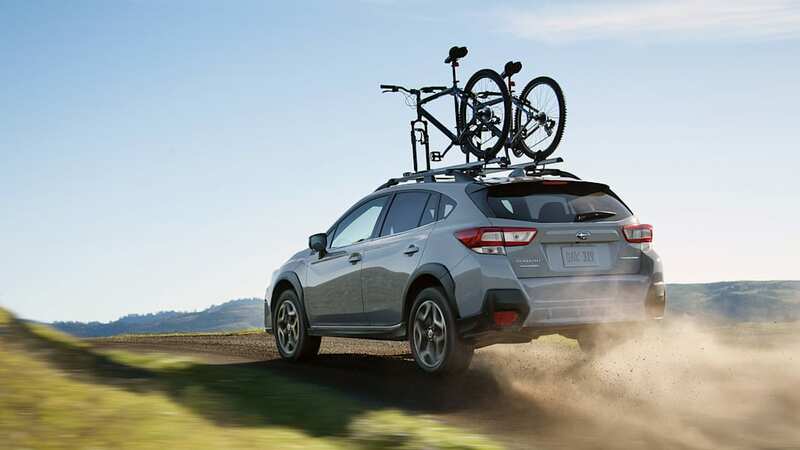 The Crosstrek in comparison measures 63.6 inches despite having the most ground clearance at 8.7 inches (not really surprising as it is, after all, an Impreza on stilts). 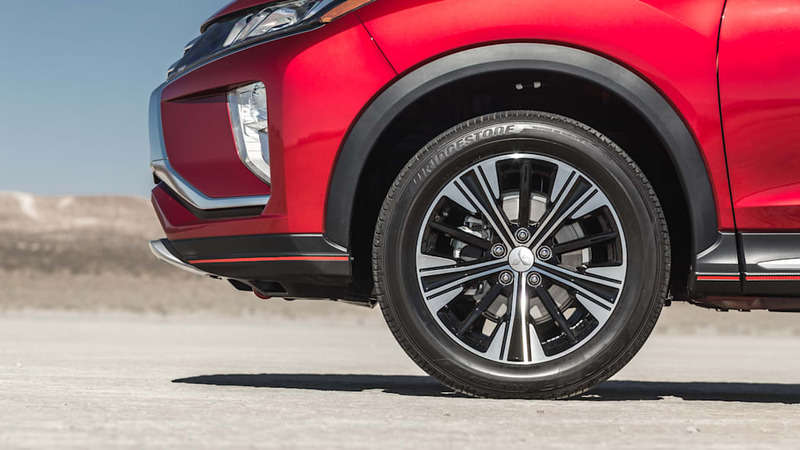 Few SUVs of any sort come close to that, so it's impressive that the Eclipse Cross comes close at 8 inches with front-drive and 8.6 inches with all-wheel drive. 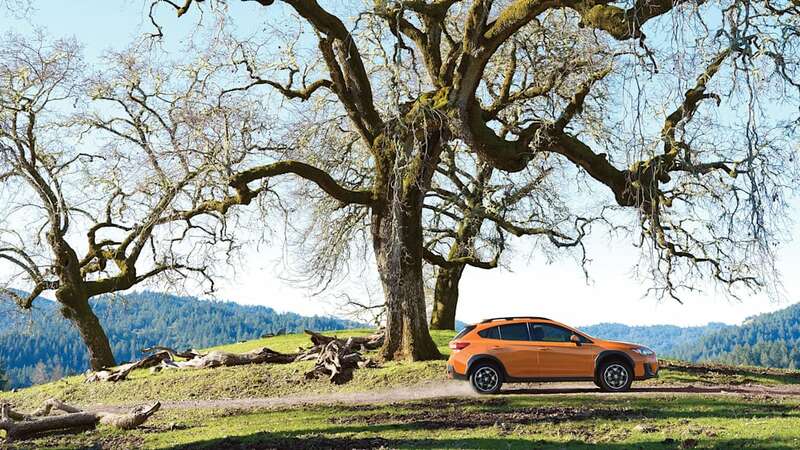 Really, between this and its mostly standard all-wheel drive, the Eclipse Cross joins the Crosstrek as one of the best choices in this size segment for tackling dirt roads and deep snow. 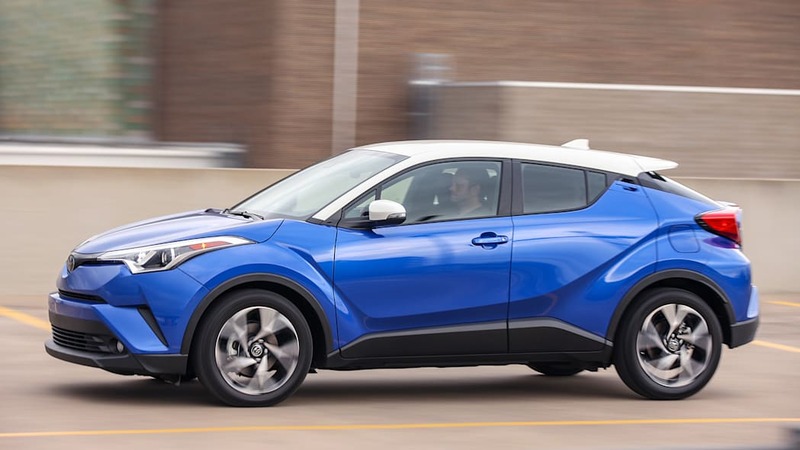 Unsurprisingly, as the smallest vehicle of the group, the C-HR has the least amount of cargo space, especially with the rear seats folded. 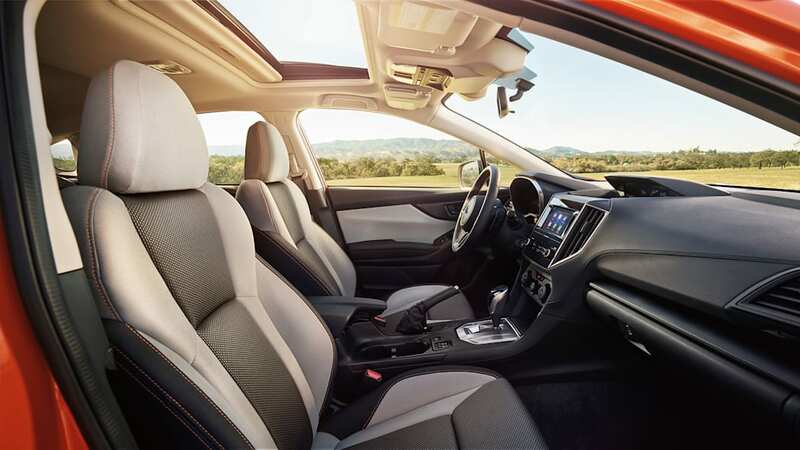 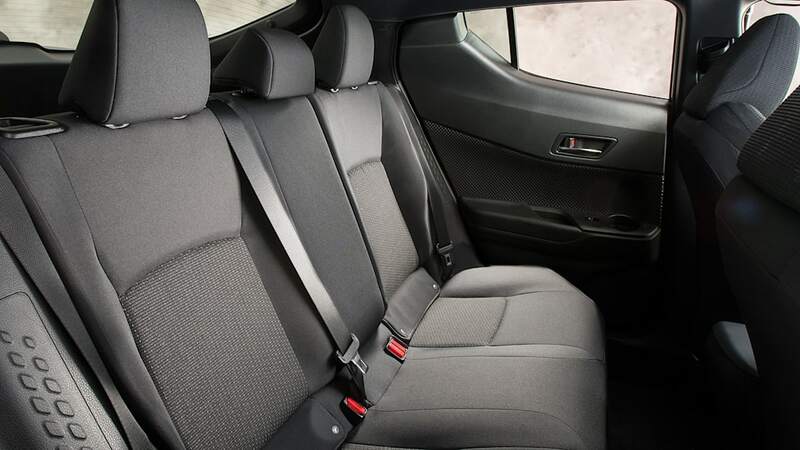 Its 19 cubic feet of space behind the rear seats isn't way off the other three, but the 36.4 cubic feet with the seats down is paltry when the next largest capacity (the Eclipse Cross) is 48.8 cubic feet. 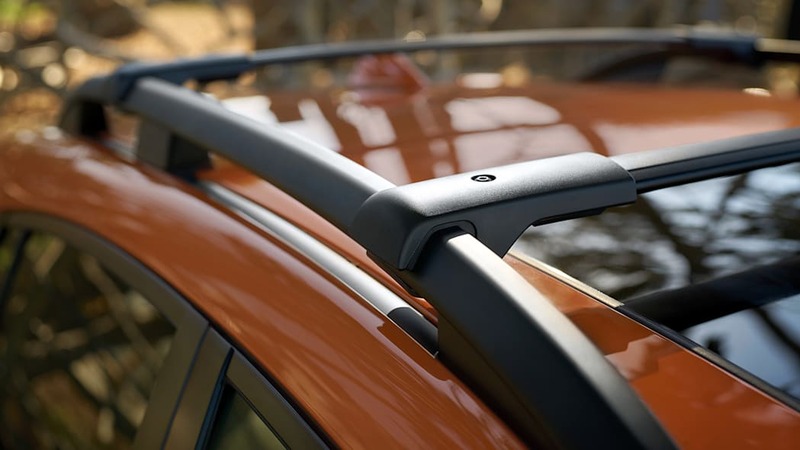 The cargo capacity champ is the Rogue Sport. 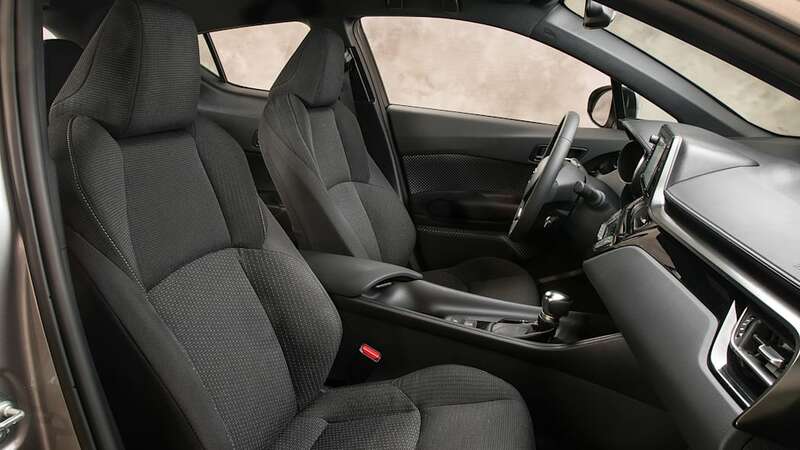 As we note, that capacity varies by trim due to a useful cargo management system included on upper trim levels that robs some cubic feet. 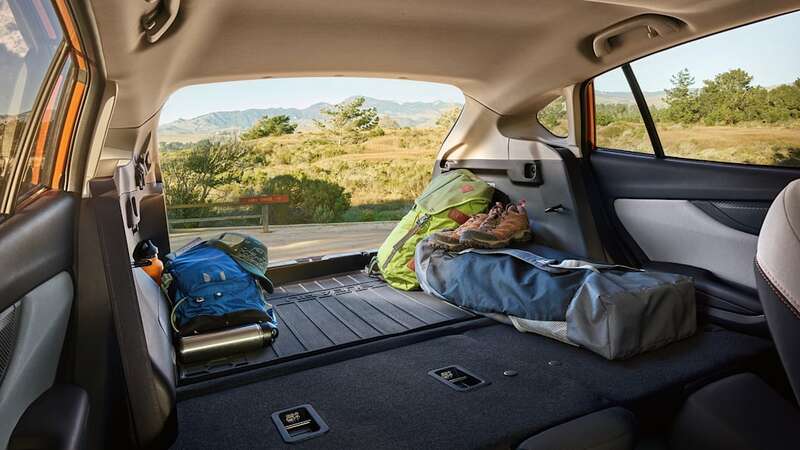 For passengers, each vehicle is surprisingly close in accommodations. 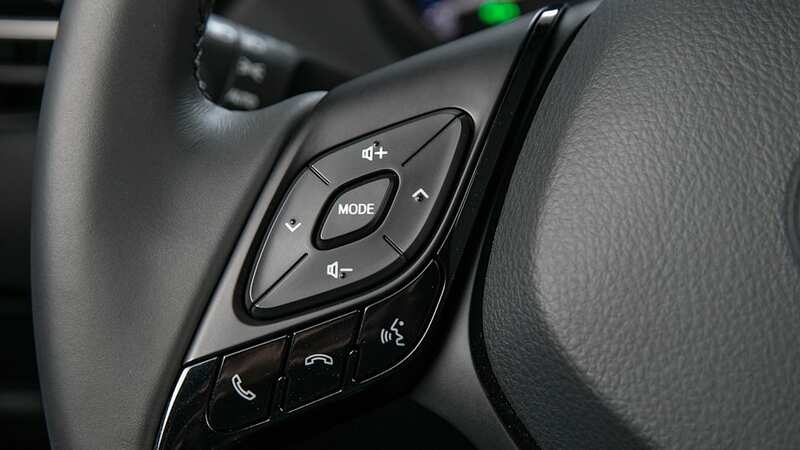 But there are a couple that have unique disadvantages. 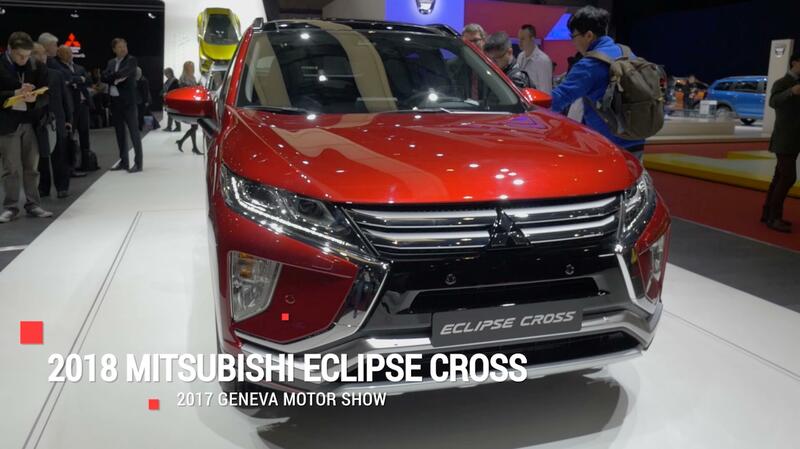 If you're tall, the Eclipse Cross may not be ideal. 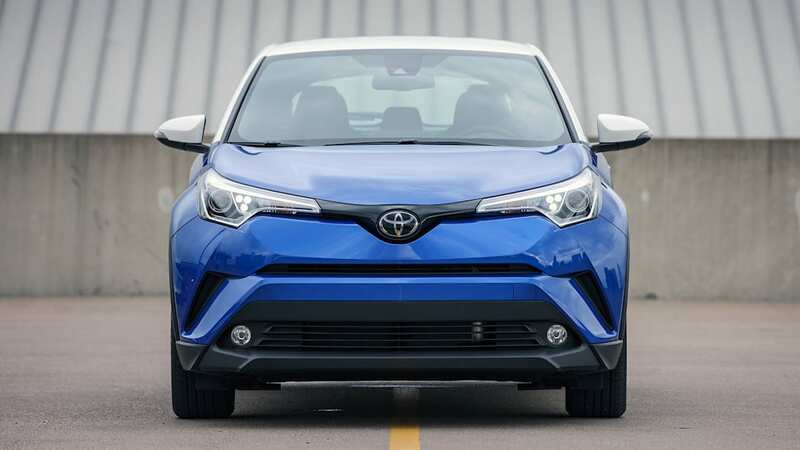 Despite being the tallest crossover in the group, it has the least amount of headroom front and rear, with roughly 3 inches less up front and 5 less in the rear. 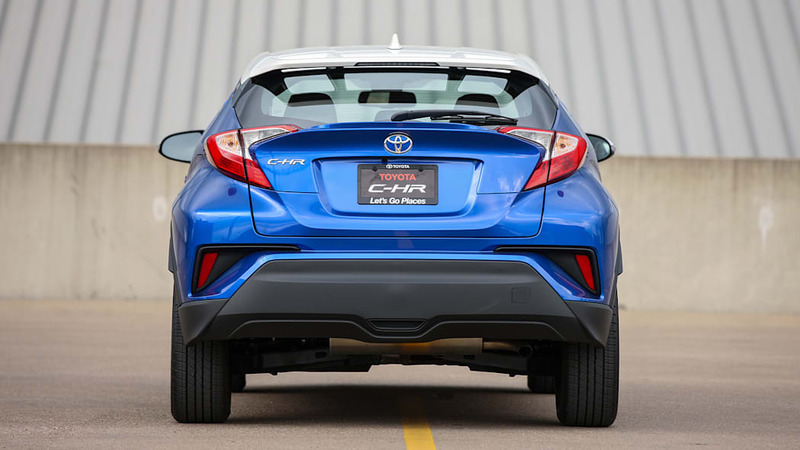 The C-HR may also look comparable on paper, but it should be noted that its aft quarters are compromised by pretty dismal visibility. 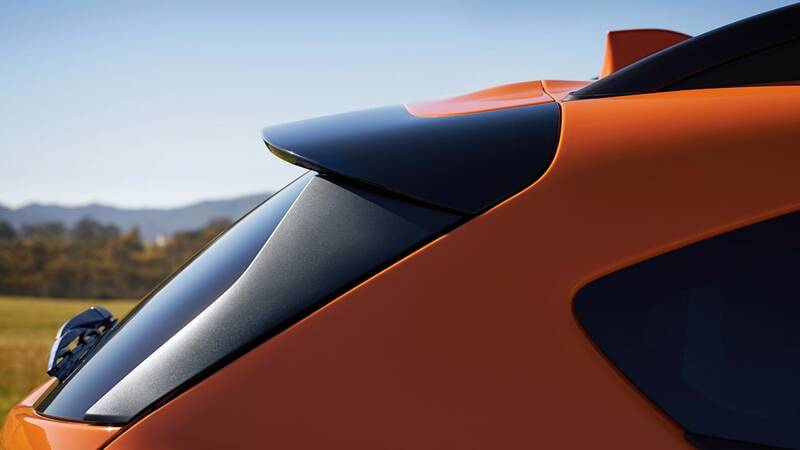 It's like a black plastic cave back there. 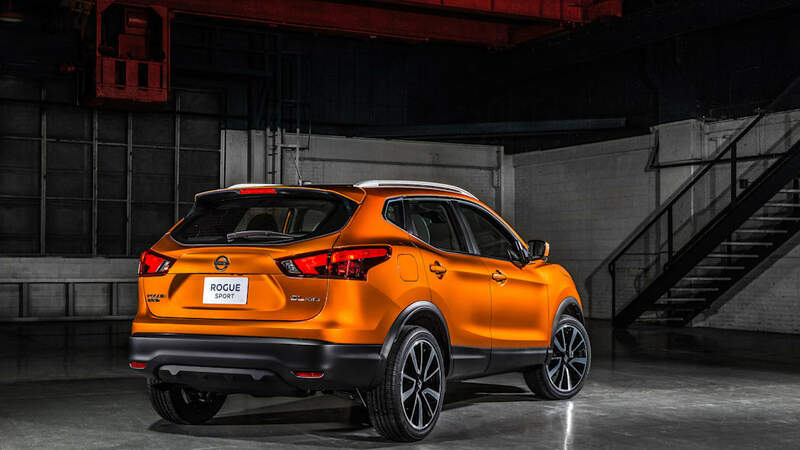 The 2017 Nissan Rogue, unveiled at the 2017 Detroit Auto Show, rear three-quarter view. 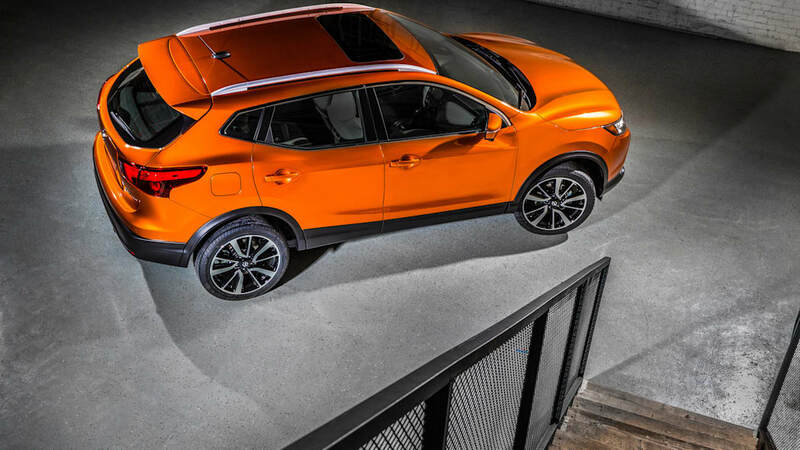 The 2017 Nissan Rogue, unveiled at the 2017 Detroit Auto Show, overhead rear three-quarter view. 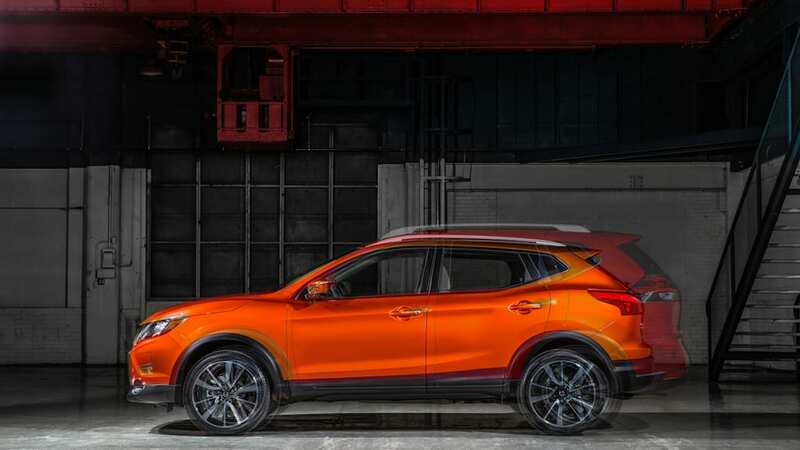 The 2017 Nissan Rogue, unveiled at the 2017 Detroit Auto Show, rear left corner. 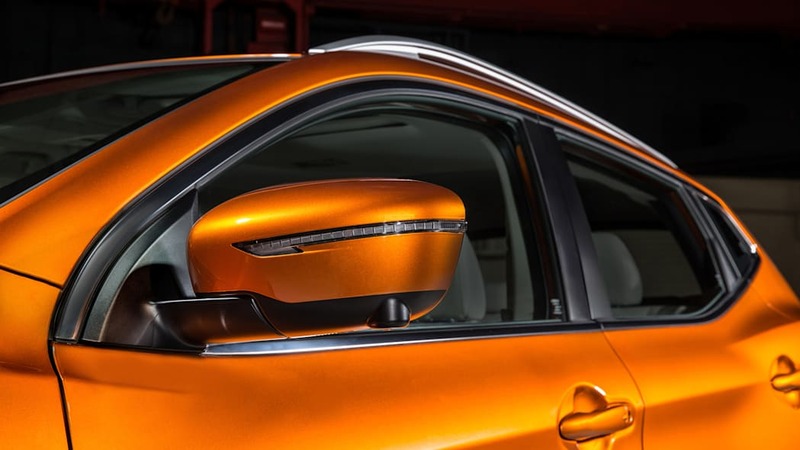 The 2017 Nissan Rogue, unveiled at the 2017 Detroit Auto Show, side mirror highlight. 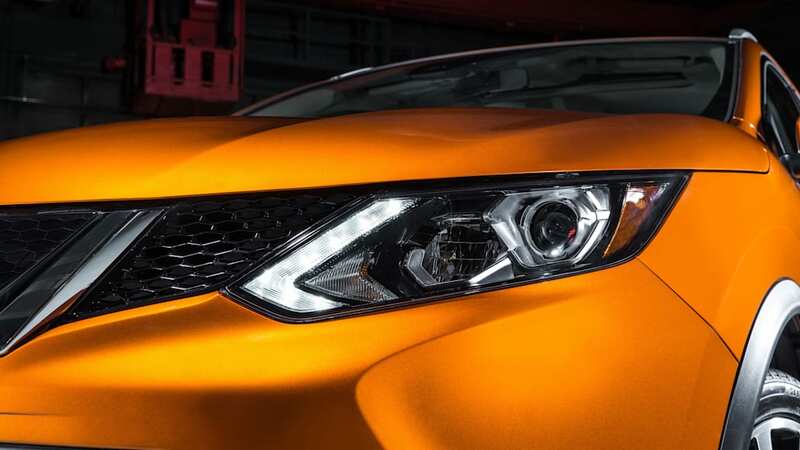 The 2017 Nissan Rogue, unveiled at the 2017 Detroit Auto Show, headlight detail. 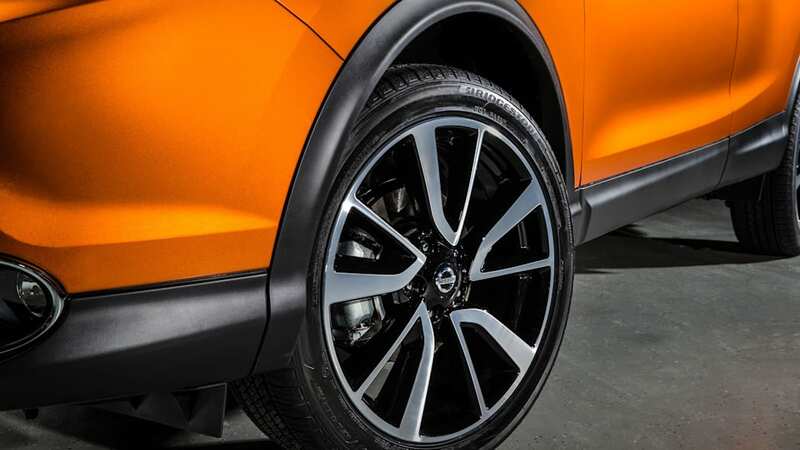 The 2017 Nissan Rogue, unveiled at the 2017 Detroit Auto Show, wheel detail. 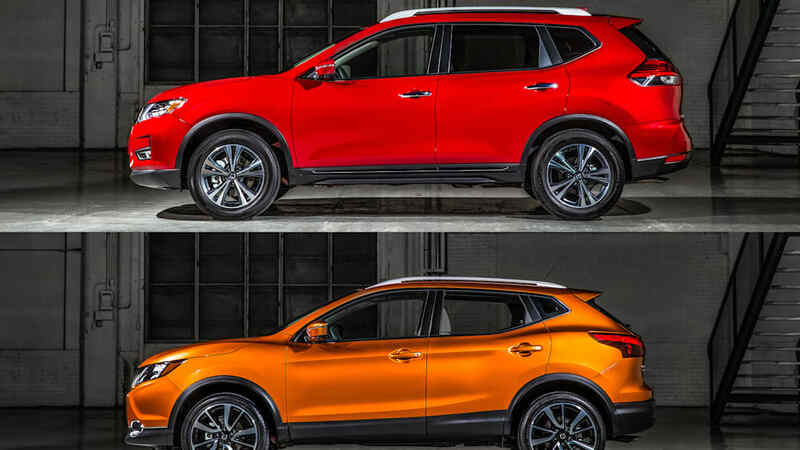 The 2017 Nissan Rogue, unveiled at the 2017 Detroit Auto Show, shown in comparison to the 2017 Rogue. 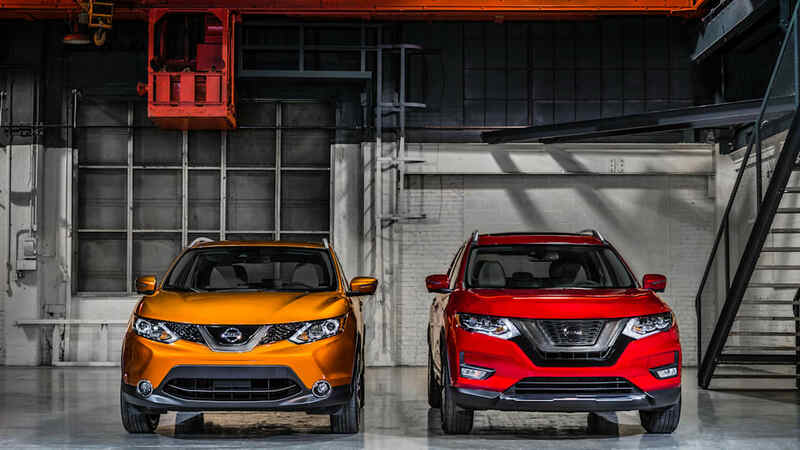 The 2017 Nissan Rogue, unveiled at the 2017 Detroit Auto Show, shown with the standard 2017 Rogue overlaid. 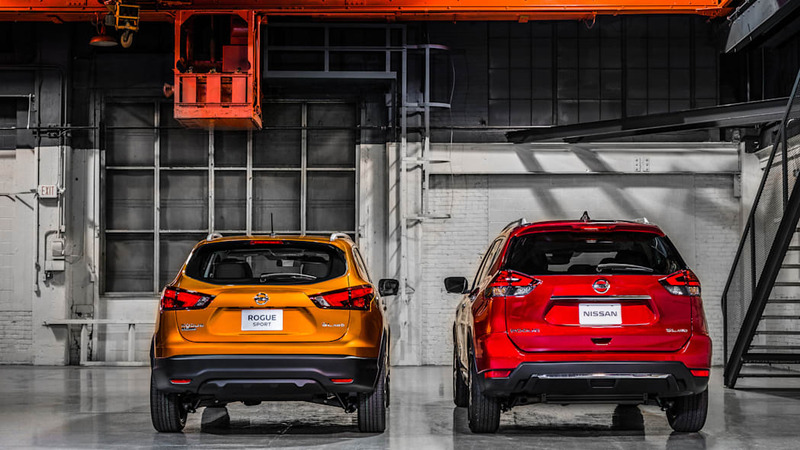 The 2017 Nissan Rogue, unveiled at the 2017 Detroit Auto Show, shown next to the standard 2017 Rogue. 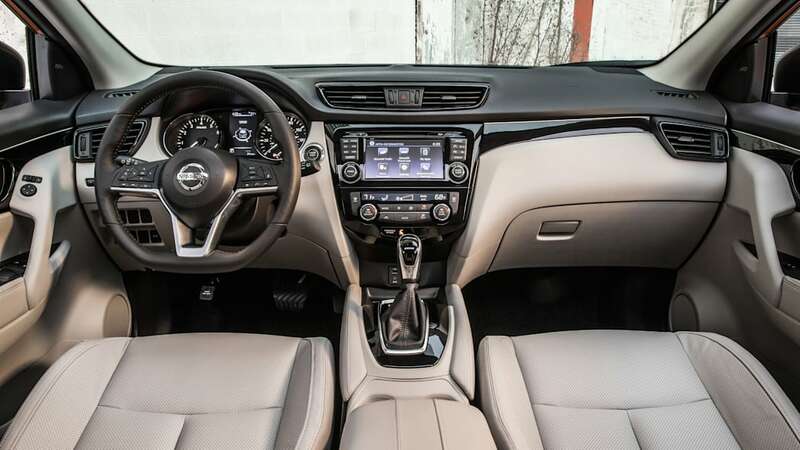 The 2017 Nissan Rogue, unveiled at the 2017 Detroit Auto Show, cockpit. 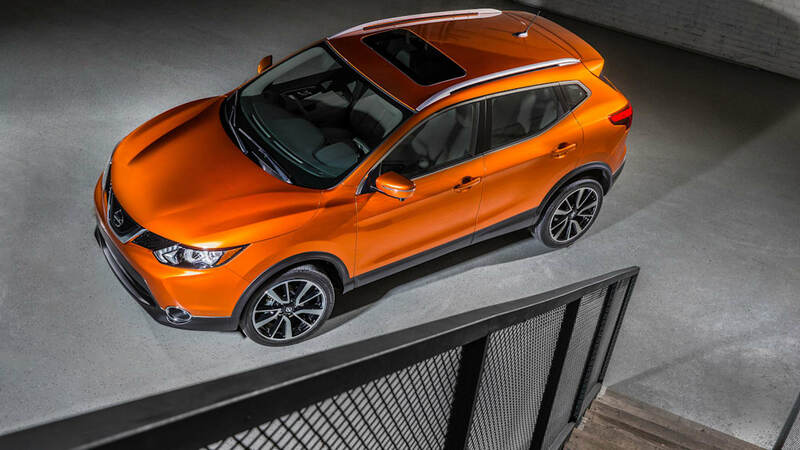 The 2017 Nissan Rogue, unveiled at the 2017 Detroit Auto Show, interior. 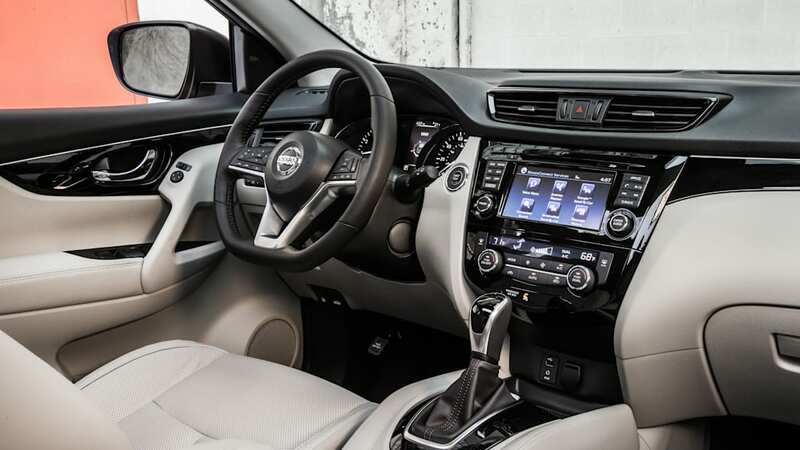 The 2017 Nissan Rogue, unveiled at the 2017 Detroit Auto Show, dashboard, steering wheel, and instrument panel. 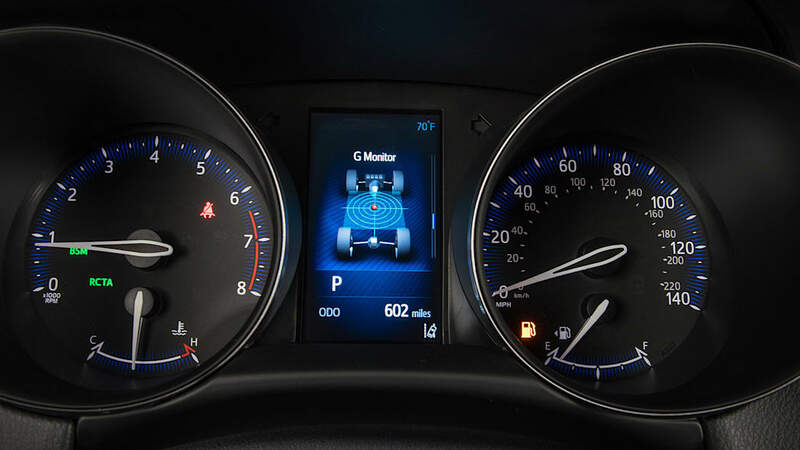 The 2017 Nissan Rogue, unveiled at the 2017 Detroit Auto Show, instrument panel. 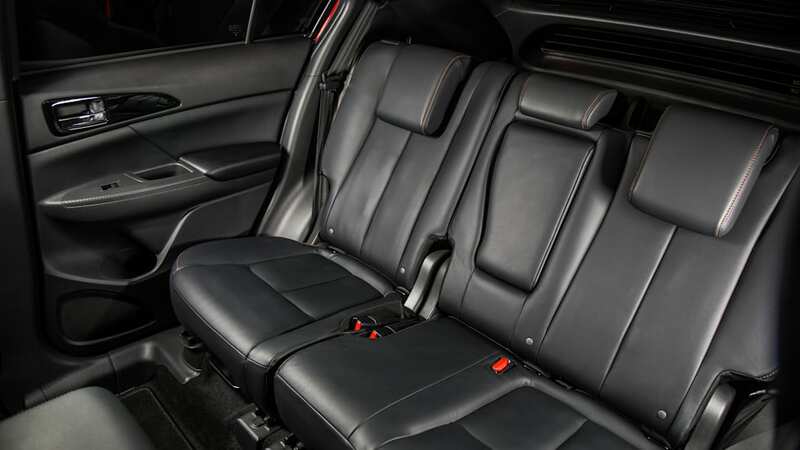 The 2017 Nissan Rogue, unveiled at the 2017 Detroit Auto Show, front seats. 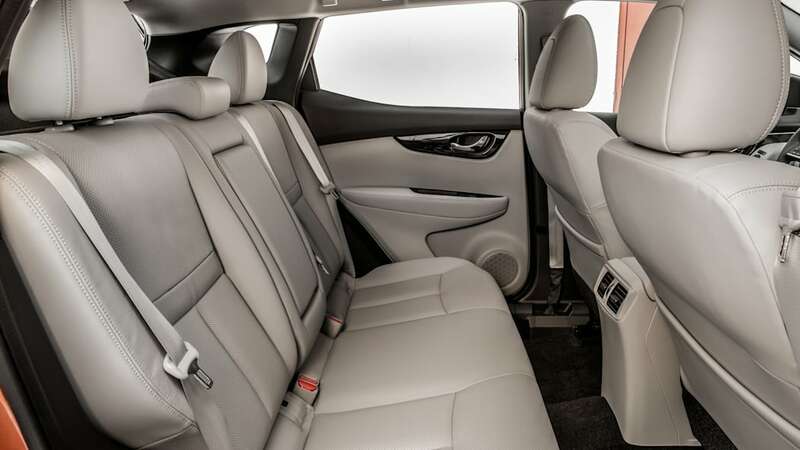 The 2017 Nissan Rogue, unveiled at the 2017 Detroit Auto Show, rear seats. 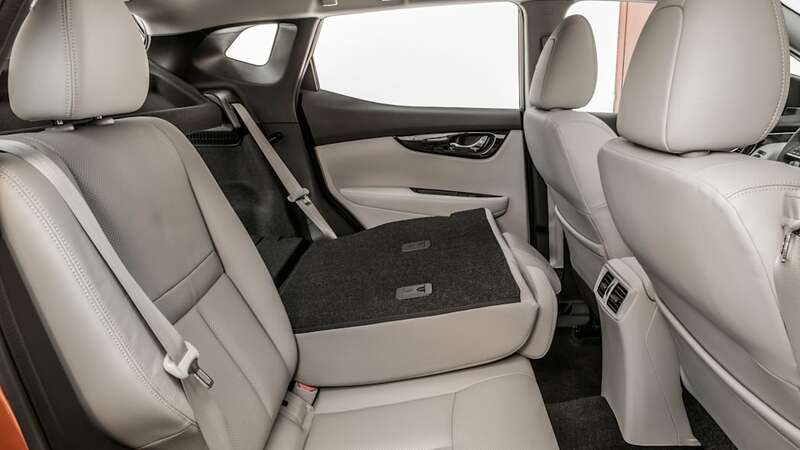 The 2017 Nissan Rogue, unveiled at the 2017 Detroit Auto Show, rear seats with fold-down. 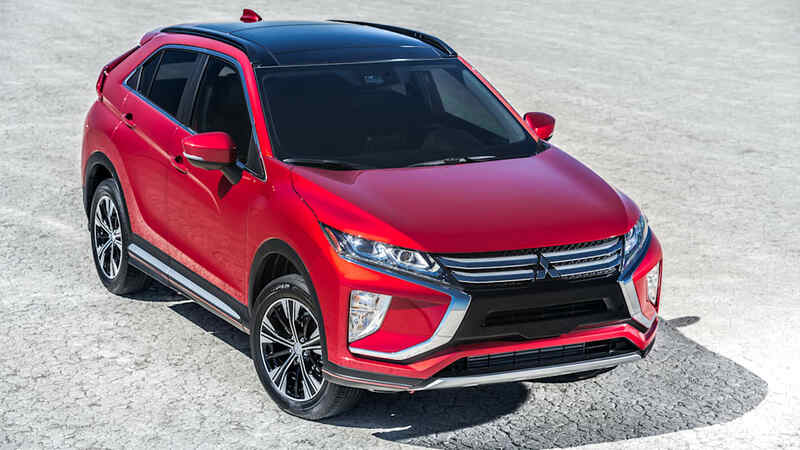 The Mitsubishi Eclipse Cross doesn't have fuel economy numbers yet available, but we can still compare the others in this area. 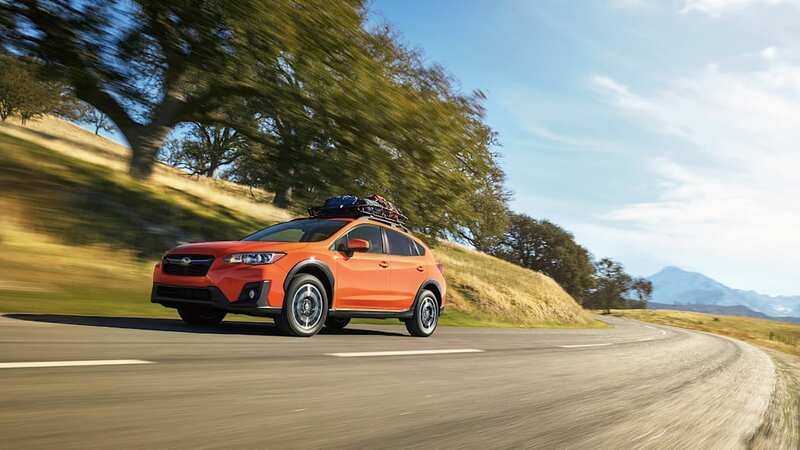 The most frugal of the bunch is the CVT-equipped Subaru Crosstrek thanks to its superior highway fuel economy number, but it gets the same 29-mpg combined figure as the C-HR. 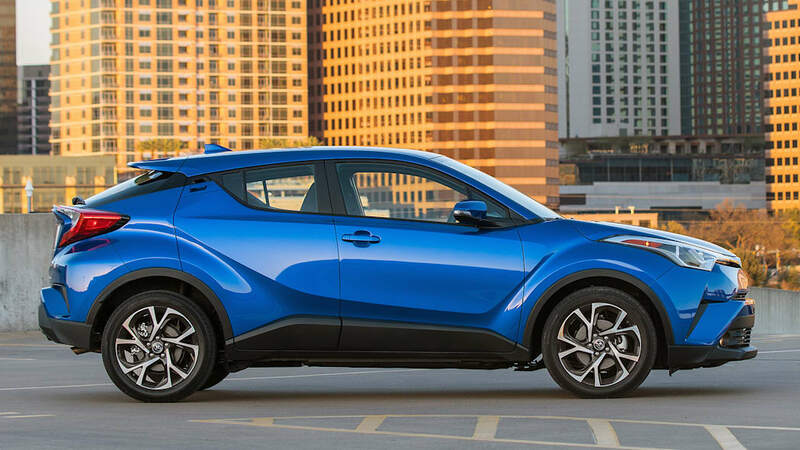 Note, however, that's with standard all-wheel drive whereas the Toyota is front-drive only. 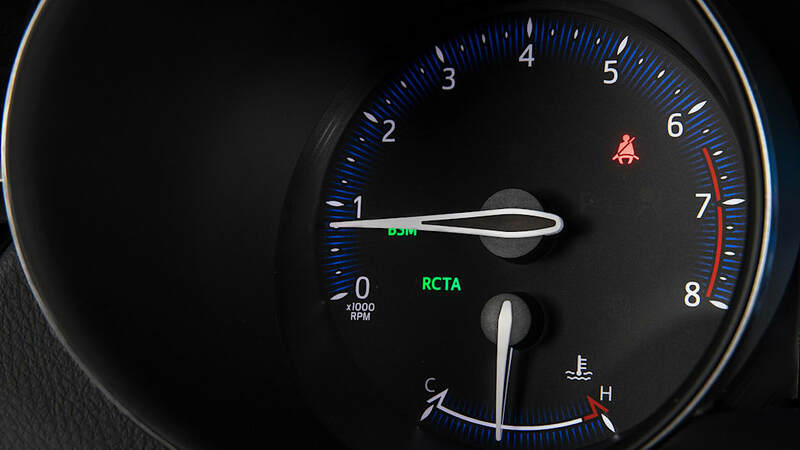 In other words, Subaru still wins (well, unless you get the manual, in which case it loses big time at 25 mpg combined). 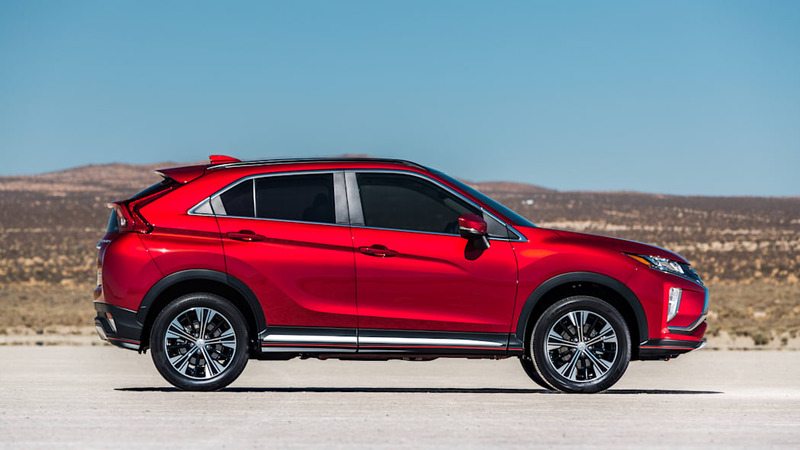 The Rogue Sport, by comparison gets 27 mpg combined with AWD and 28 with FWD. 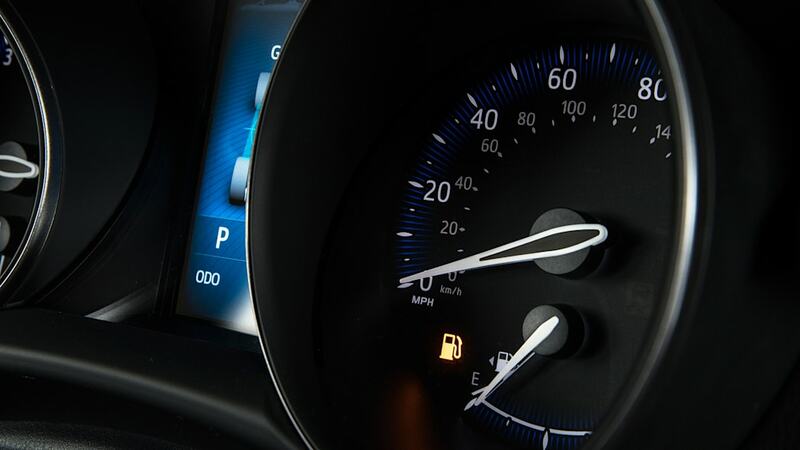 According to the EPA, that difference would amount to between $50 and $100 in average annual fuel cost. 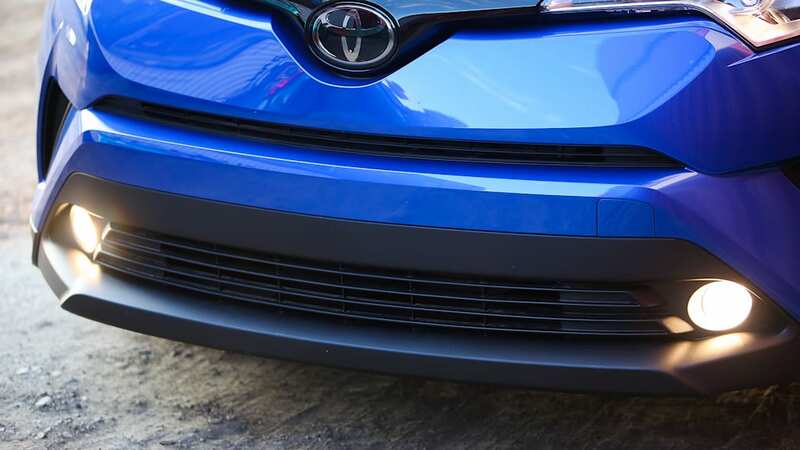 So, not much. 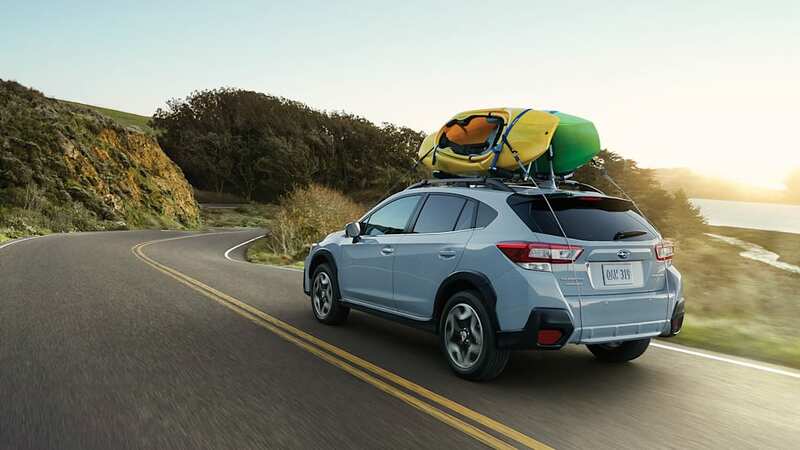 Where these vehicles vary most is in pricing and standard equipment, and they span the gamut from bare-bones and low-cost, to pricier but very well-equipped. 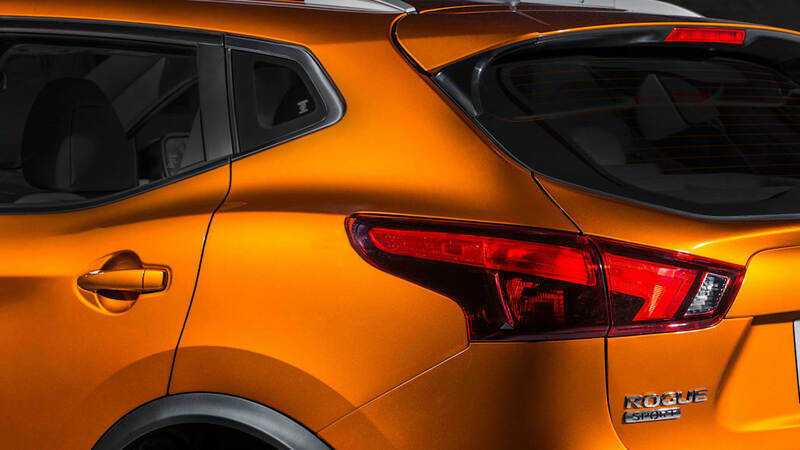 Representing the bare-bones perspective is the Nissan Rogue Sport. 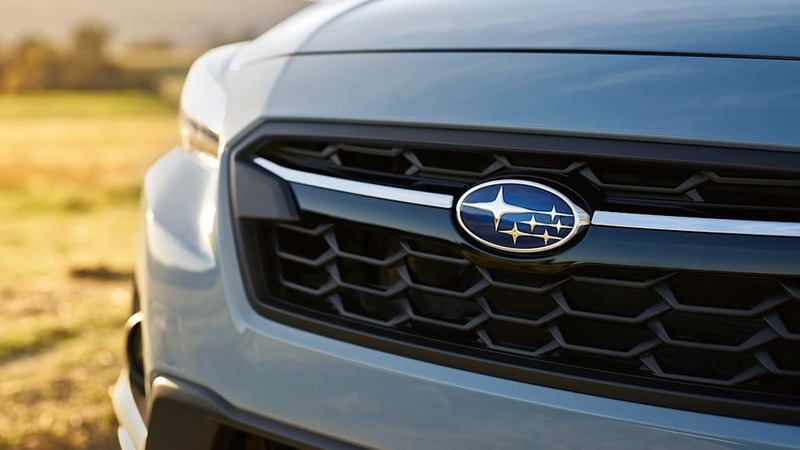 It has the lowest base price of $22,615, but you won't get many premium features. 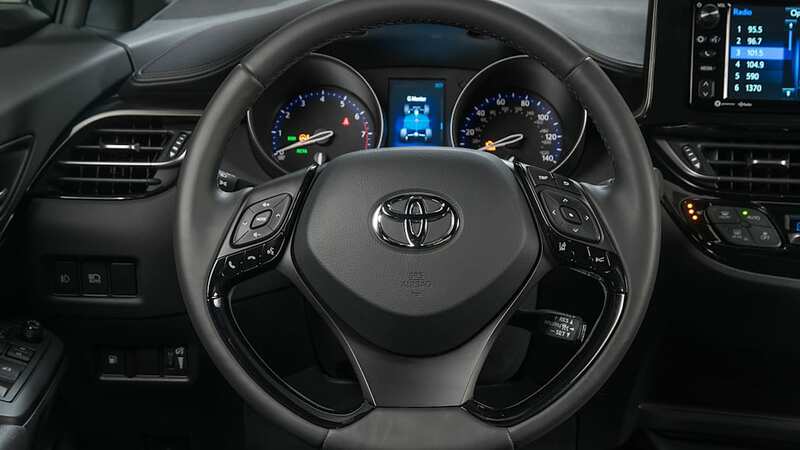 It comes with just plain steel wheels with plastic covers, a 5-inch infotainment screen without touch functionality, and general standards such as cruise control, a manually height-adjustable driver seat and Bluetooth. 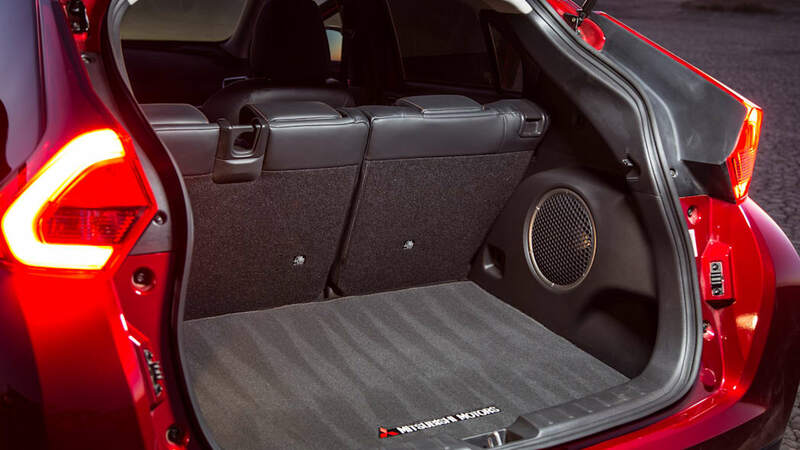 And, as we already mentioned, quite a bit of space when choosing the base model. 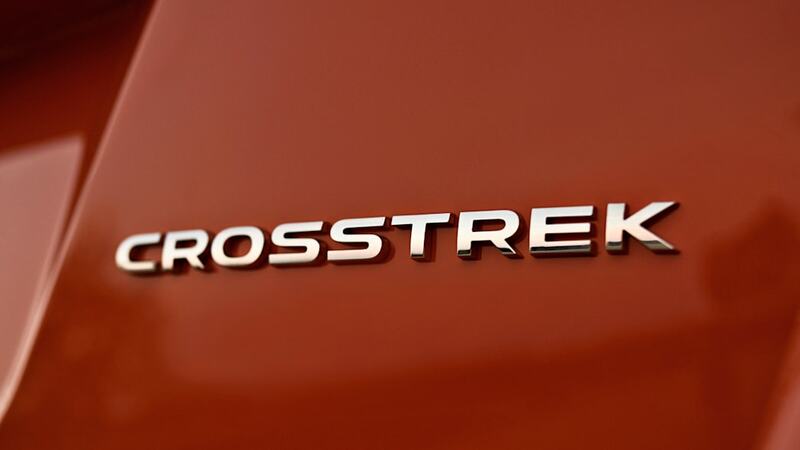 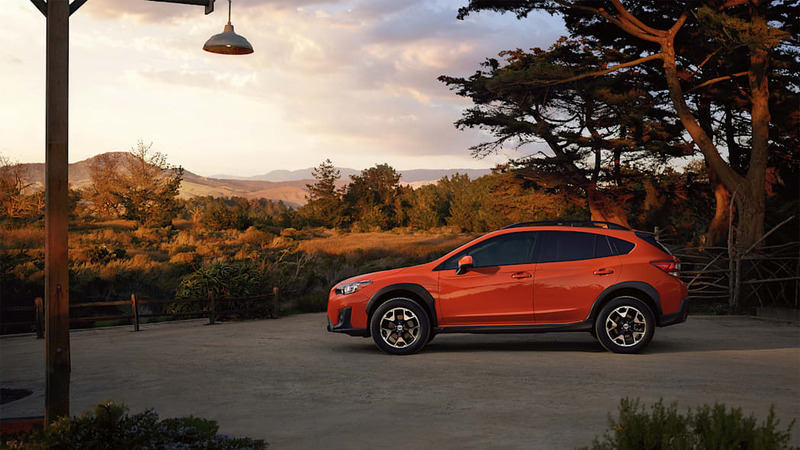 But for just about $100 more, you can get a base model Crosstrek, which adds all-wheel-drive and 17-inch alloy wheels to the equation. 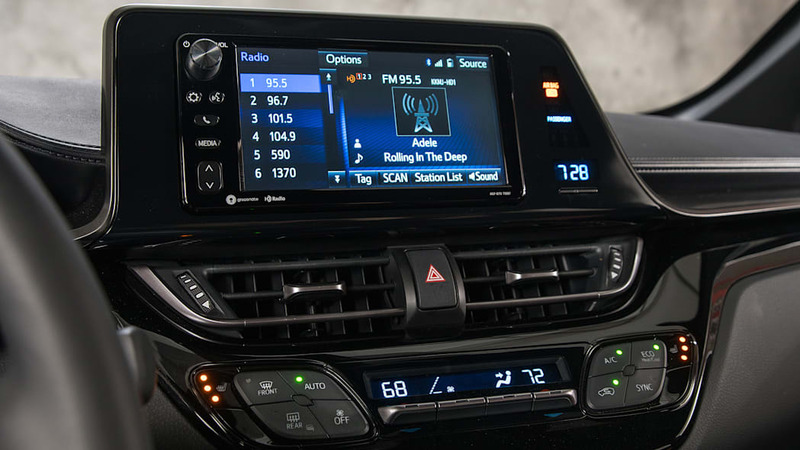 Not only that, it gets a 6.5-inch touchscreen with Apple CarPlay and Android Auto compatibility. 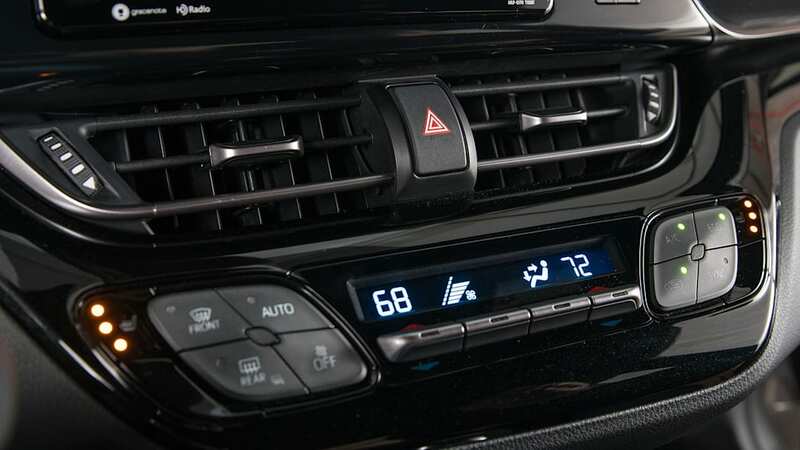 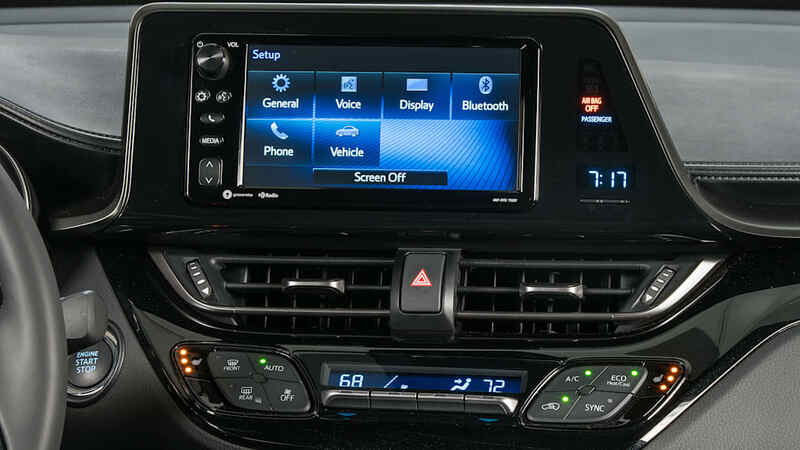 It's the only vehicle in this group to offer that infotainment addition as standard. 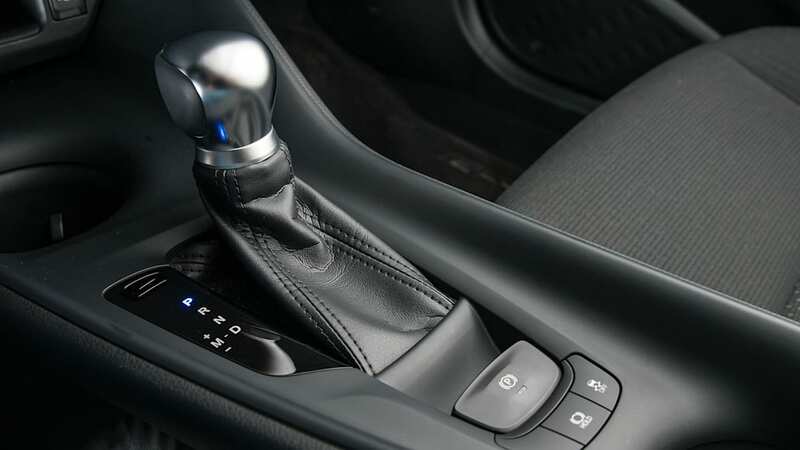 It's worth noting that this base price is for the manual transmission version. 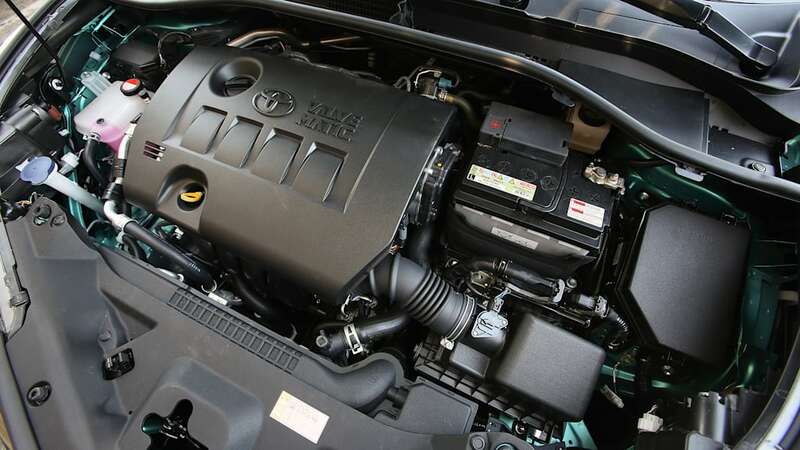 Adding the CVT bumps the price up $1,000, making the Nissan a bit more appealing for budget-minded automatic fans. 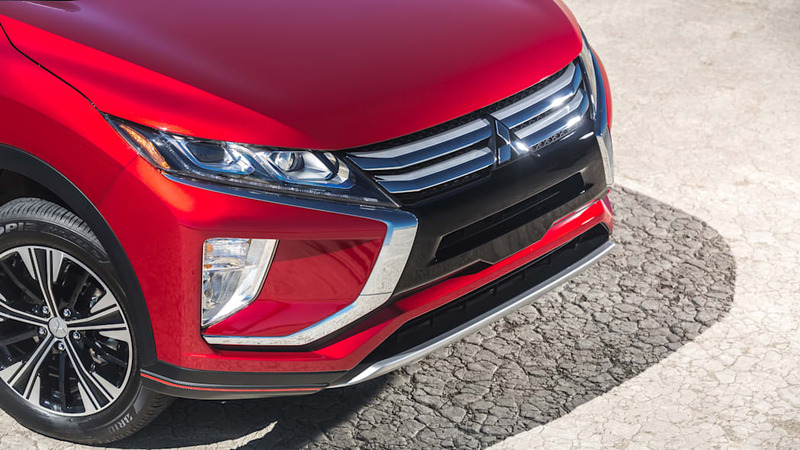 At the top of the price range is the Mitsubishi Eclipse Cross, which starts at $24,290. 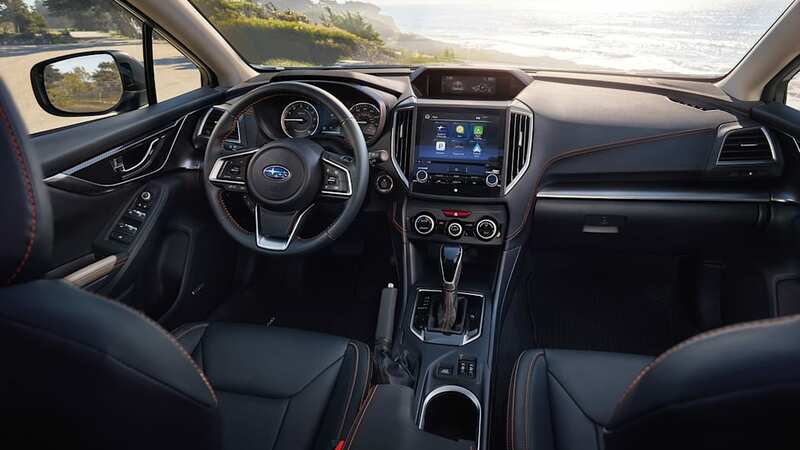 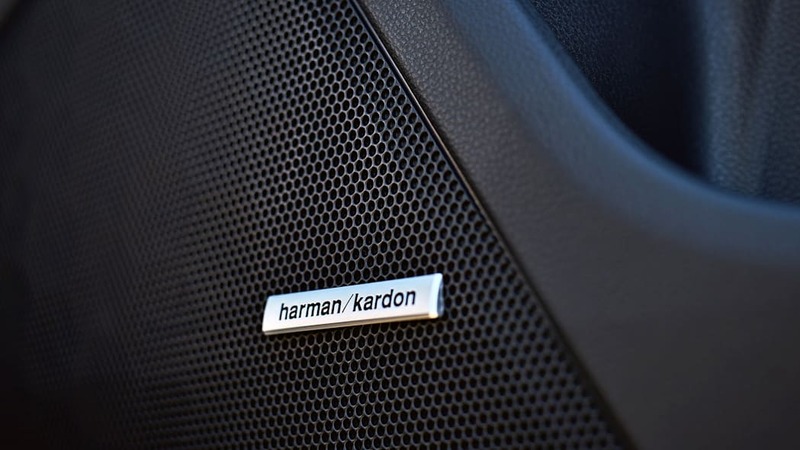 It comes with 16-inch alloy wheels, Bluetooth connectivity, and a 7-inch touchscreen. 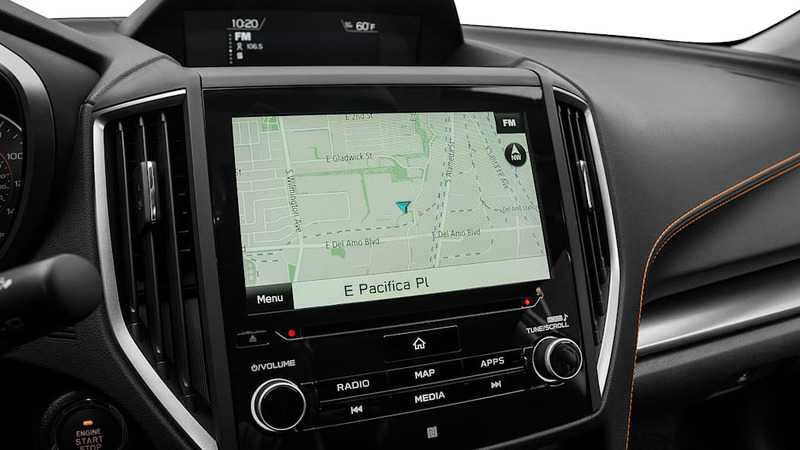 It doesn't come with CarPlay or Android Auto, or all-wheel-drive for that matter. 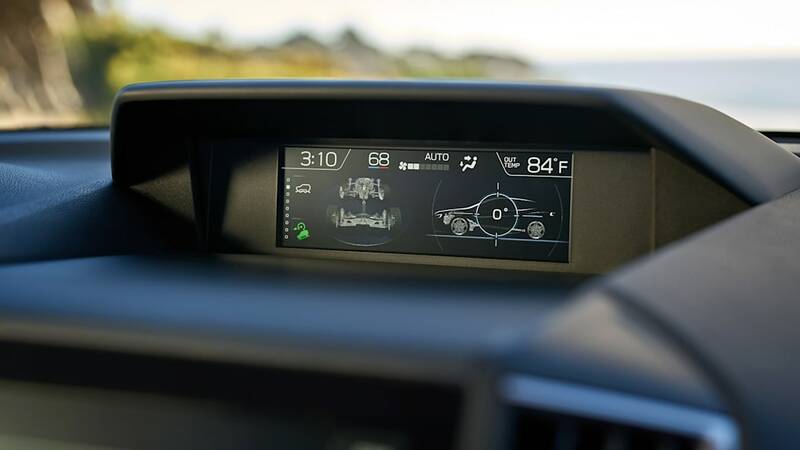 But it does add automatic climate control and heated side mirrors (plus the strongest engine). 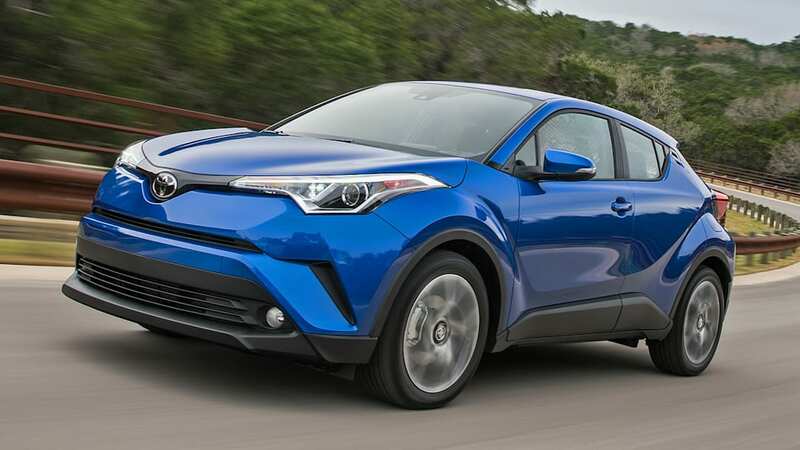 The Toyota C-HR starts roughly $800 less than the Mitsubishi at $23,495. 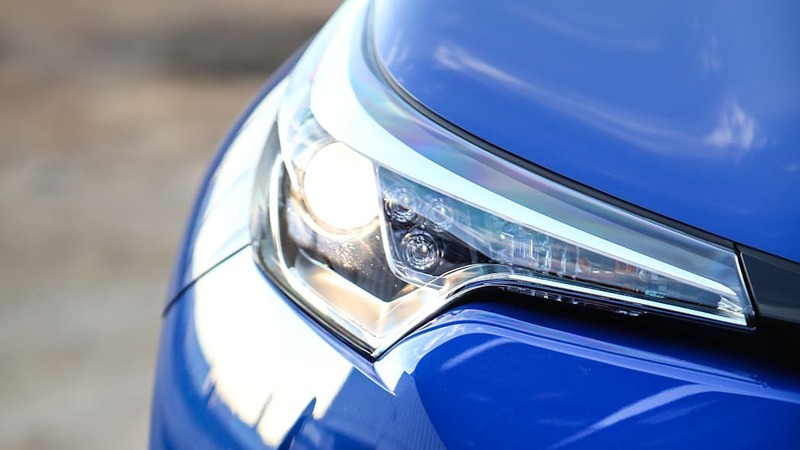 But where it shines is in standard features. 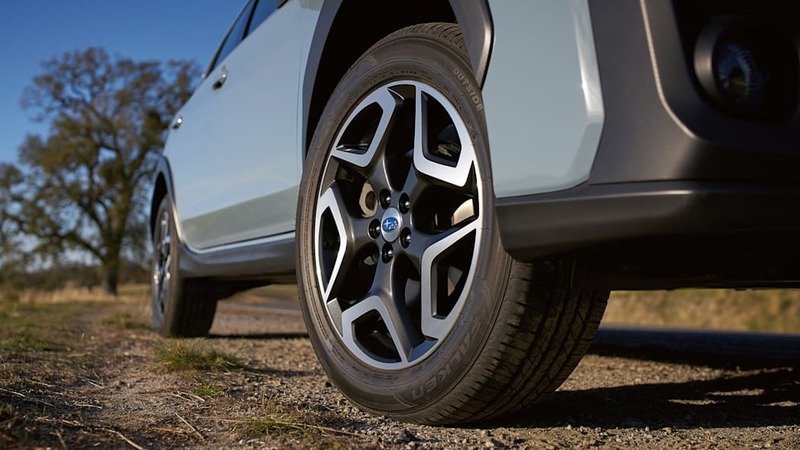 Its 18-inch alloy wheels are the largest of the bunch, which is a positive for style-conscious buyers, and maybe a downside for pothole heavy regions. 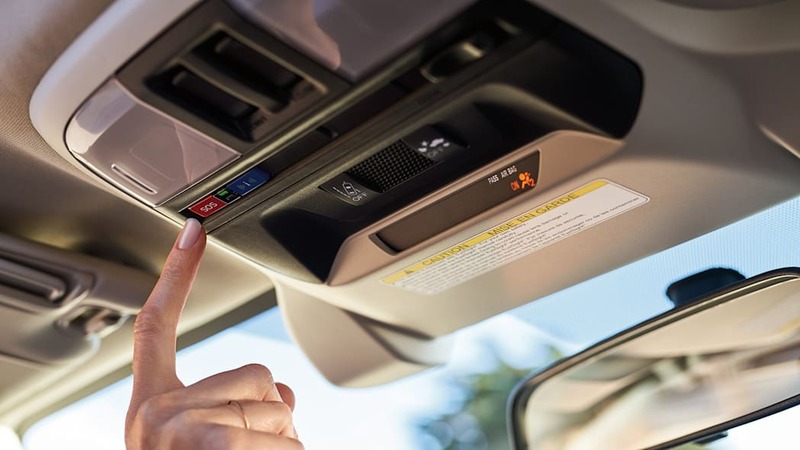 It also treats the driver and passenger equally giving them both six ways to manually adjust their seats, and they each get their own zone of automatic climate control. 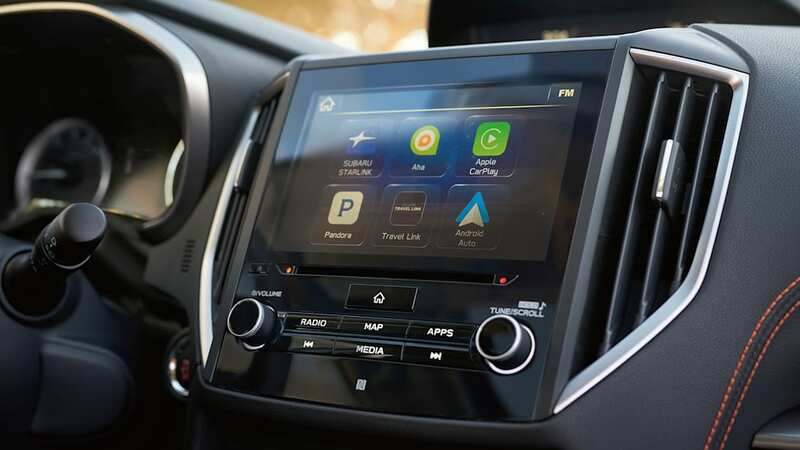 It comes with a 7-inch touchscreen, but its an aftermarket-style unit rather than a full Toyota Entune touchscreen, and there's no way to get CarPlay or Android Auto.The C-HR also includes a leather steering wheel, automatic high-beams, and adaptive cruise control. 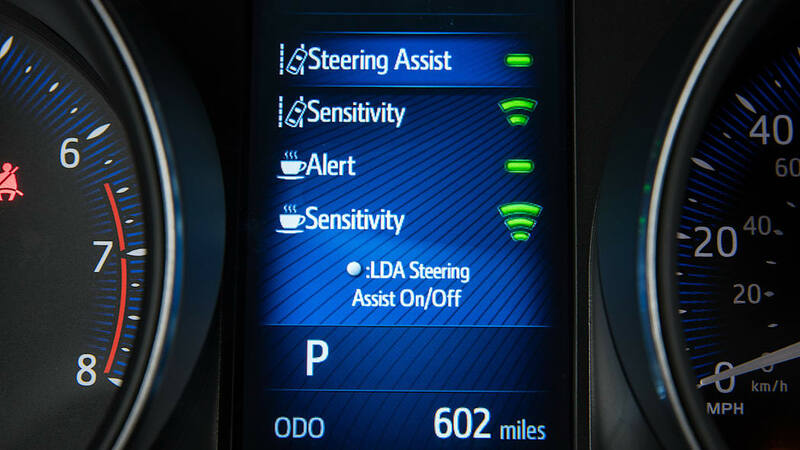 It even has fancy safety features such as automatic emergency braking and lane-departure assist. 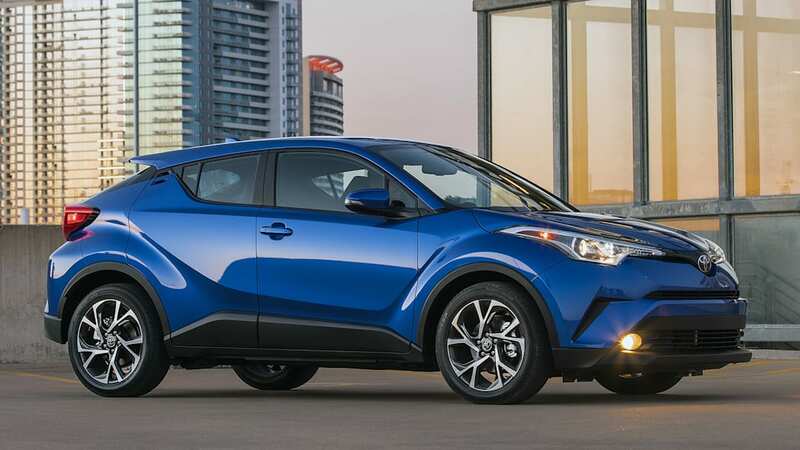 So as long as you don't need to mirror your smartphone on the infotainment, and don't need all-wheel-drive, the C-HR is hard to beat in the feature department. 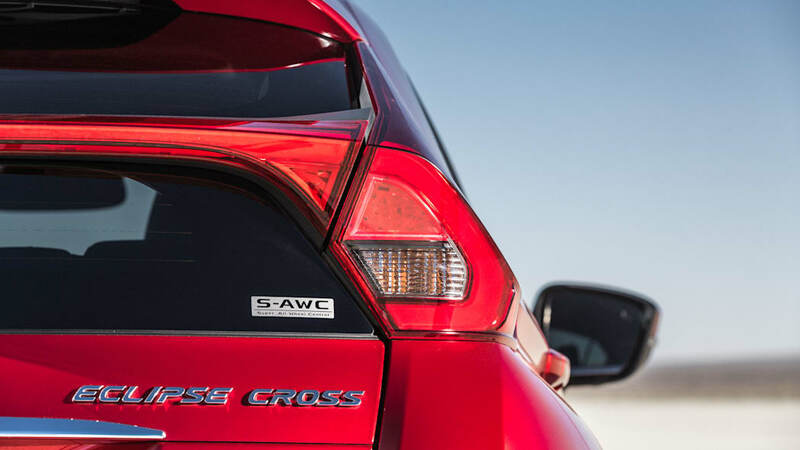 This is a pretty oddball group to be sure, but it shows that would-be crossover buyers have a diverse selection of choices. 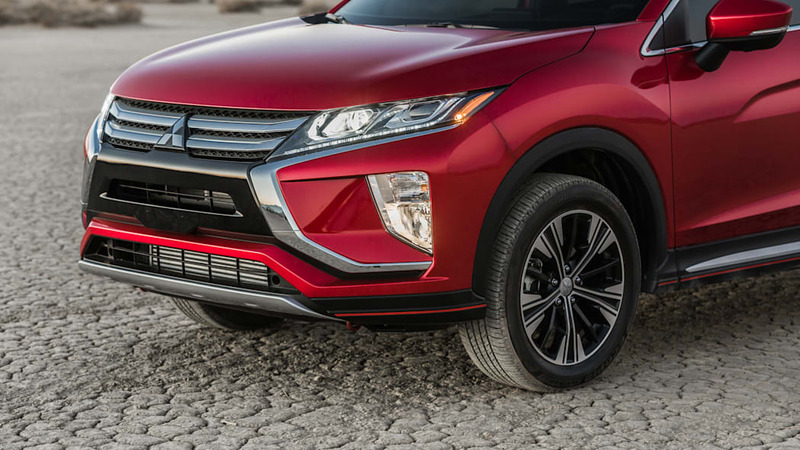 Judging by what we've found above, the new Mitsubishi Eclipse Cross comes close to matching the Subaru Crosstrek's appeal as an all-weather, go-anywhere choice, but with superior performance and funkier styling more in keeping with the C-HR. 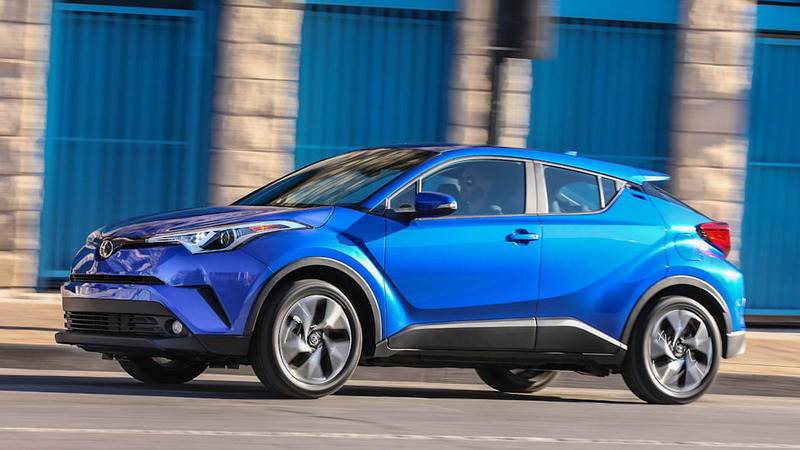 The Rogue Sport would be the more practical, sensible alternative, while that C-HR would be the most fashionable, feature-rich choice.